The Johnstown-Monroe Choirs find their home in Johnstown, Ohio which is located 25 miles northeast of Columbus. 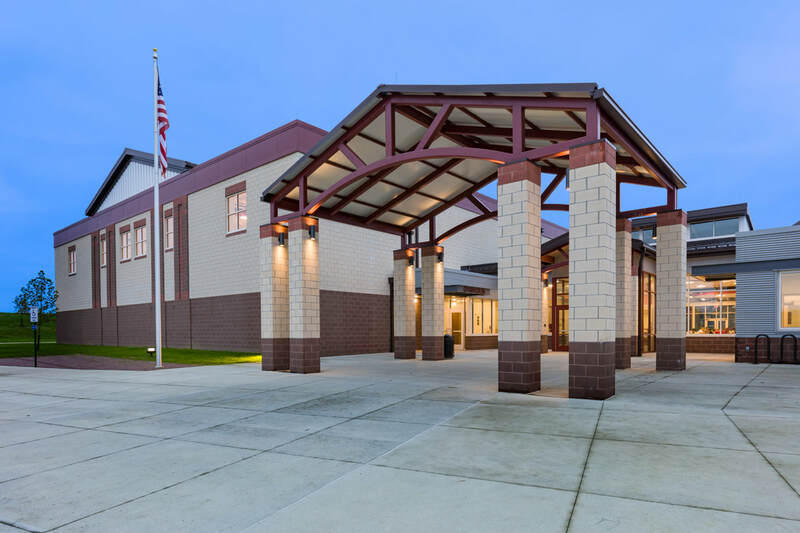 Approximately 550 students grades 9-12 attend Johnstown High School. The 2018-2019 high school choir program involves 140 members that perform regularly throughout the school year. The choir is best described as a program full of singers that wear many different hats--performing everything from classical concert repertoire, to show choir pieces to broadway theater cabarets. Most of the choir's members are also involved in many other school activities such as the Big Red Band, Athletics, FFA, 4-H, Student Council and other school organizations. Mrs. Melody Cox is in her sixth year as the director of the Johnstown-Monroe Vocal Music Program. Melody is a 2007 graduate of Johnstown-Monroe High School, where she was actively involved in the leadership of the choir, theater and band programs all four years. After graduating, Melody attended the Conservatory of Music at Capital University where she sang under the direction of Dr. Lynda Hasseler as a four-year member of the Chapel Choir and studied voice privately with Dean Lynn Roseberry. During her senior year, Melody was elected President of the Ohio Collegiate Ohio Music Educator's Association at Capital. She also took first place at the Regional Auditions of the National Association of Teachers of Singing and performed with Opera Columbus through their Vocal Internship Program. Melody graduated with a Bachelor of Music Education degree in 2011 earning the Outstanding Senior Vocal Music Education Student Award and the Timothy E. Swinehart Award for Outstanding Senior in Music Education and Overall Music Performance. Melody has taught private voice lessons and has choreographed for area high schools since 2007, and has spent many of her summers as a band camp technical assistant for both Johnstown High School and Olentangy Orange High School. Melody also served as the Minister of Music at Powell United Methodist Church from 2012-2015 and is currently serving as Music Director for some of Columbus Children's Theatre's productions this year.